We Have A Full-Time Staff Of Highly Qualified and trained Personnel. within the Century 21 organization going back over 30 years! in addition to ongoing training in all facets of Real Estate. 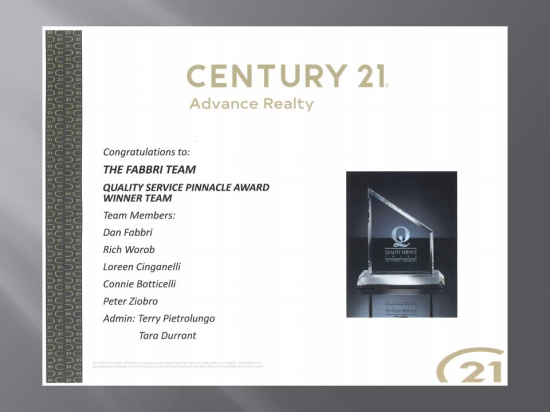 Leader of the Fabbri Team-over 32 years full time experience - dealing with every facet of the Real Estate business. Have helped over 1500 people buy and sell real estate. Dan and his team are the top ranked Team within the Century organization in all of new England and have been for many years. We sell, a home on average, every 4 days. On a yearly basis we sell from 70-100 homes. 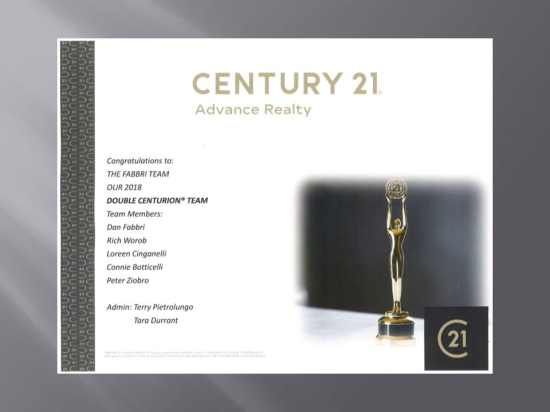 No other team or agent even comes close! 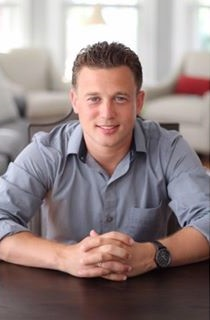 Choose Dan or any member of his team to help you buy or sell a home! 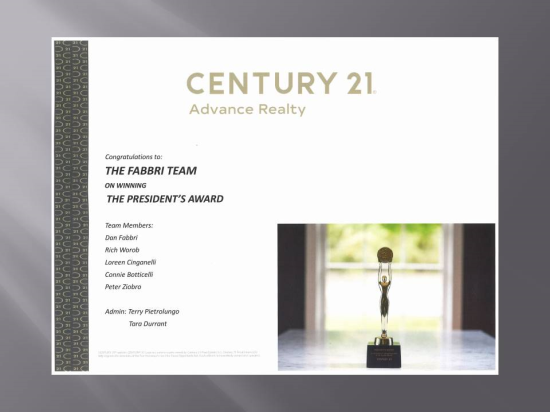 Full Time Realtor-Both Buyer and Seller Representation, Certified Buyer Agent, handles many open houses, shows homes to buyers – A Top Agent here at Century 21 for many years. Full Time Realtor-Both Buyer and Seller Representation who has been with my team for over 18 years. 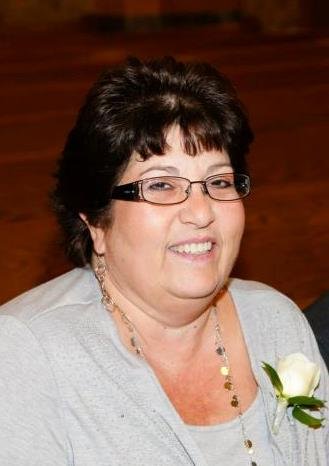 Loreen is a Top Agent and a Full-Time Realtor who has been a Fabbri Team Member since 2001. Offering both Seller and Buyer Representation, Loreen has a B.S. in Marketing, has earned the designation of "Certified Buyers' Representative", and is a strong negotiator. She has listed and sold homes throughout the North Shore of Boston, to include bank-owned and short sale properties. Loreen is all about the details and will walk you through the entire selling or buying process! Connie brings over 20 years of experience selling and listing homes, property management and rental knowledge to us. 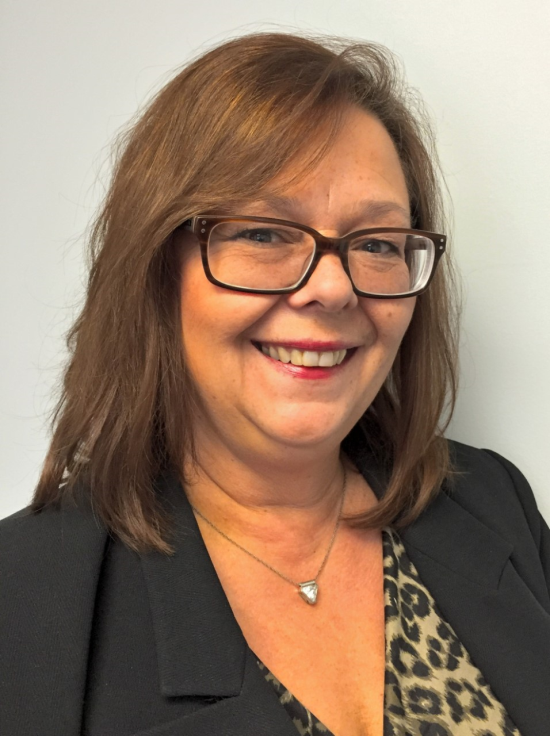 Full Time Realtor-Both Buyer and Seller Representation, Connie has earned the designation of "Certified Buyers' Representative". Connie's background includes a B.S. In Elementary Education, completion of the School of Financial Studies at the Mass. Bankers Association, and former Vice President of Human Resources at East Cambridge Savings Bank. A Medford resident, Connie's focus is on building strong relationships with her clients. Her strong work ethic and dedication to client needs means that you will never feel pressured to settle for second best nor feel that you are not receiving a candid overview of all your options. Peter is a recent addition to our team. Born and raised in Medford gives him knowledge of the area only local natives would know. Peter is committed to making the buying and selling process a breeze for his clients. 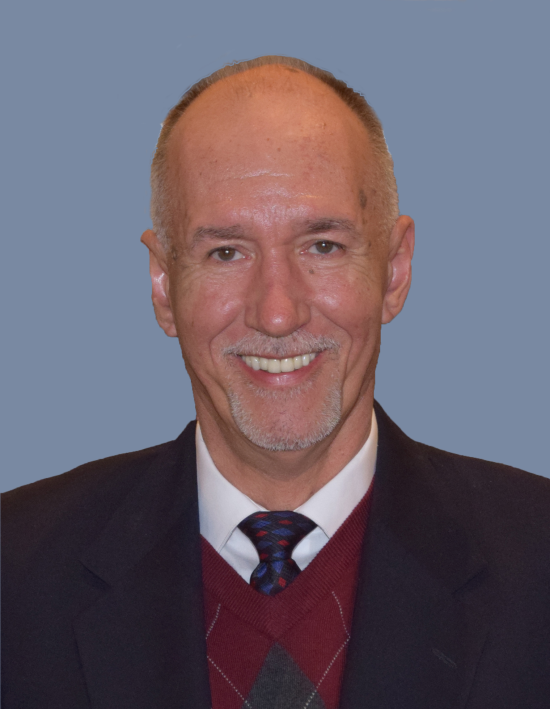 In his previous 5 years of experience as a full time Realtor, he was awarded the 2016 "USAA AGR Award". He has Great knowledge of Boston North, is very responsive, and keeps his clients in the loop of what is happening with the transaction. 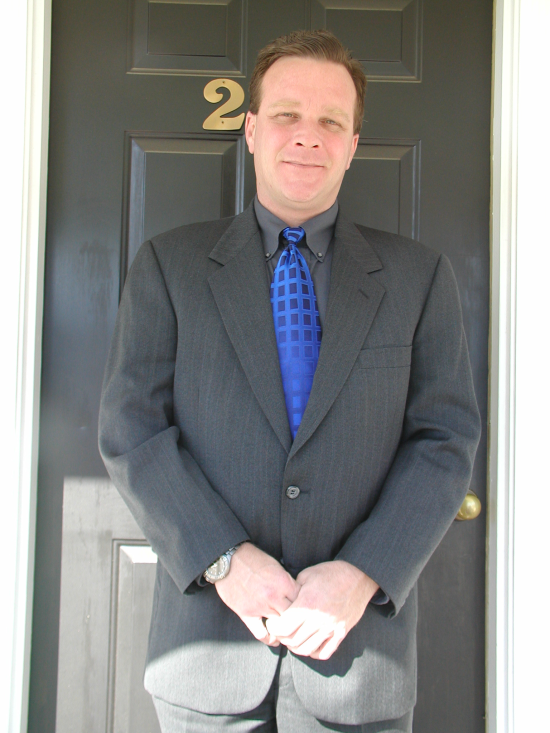 Whether you are selling or buying, Peter can represent you! We are happy to have him join our Team! If not for Terry I do not think I would be so organized!! She is a Transaction Coordinator/Personal Assistant & Licensed Real Estate Agent all in one. Handles files in pending which includes: making sure all items are completed on time, appraisals, scheduling appointments, marketing of your home to other agent’s and potential buyers, seller contact and follow up, computer input, daily/monthly letters and marketing, file maintenance, escrow deposit and follow up, computer technology and so much more! Terry has been with me over 20 years and is the best around! Eleni helps with all web marketing, input of MLS information, input of showings so clients can track activity on their homes for sale, daily and monthly letters, MLS, computer input, internet input to over 500 web sites, file maintenance, escrow deposit and follow up, computer technology and so much more! Studying now to get her Real Estate license and become a Realtor on our team as well. Tara is a great addition to our Team who helps with all web marketing, input of MLS information, input of showings so clients can track activity on their homes for sale, daily and monthly letters, MLS, computer input, internet input to over 500 web sites, file maintenance, escrow deposit and follow up, computer technology and so much more! Tara is a valuable part of our team! Karla does much of my daily and bulk mail marketing. Ashley researches local RE sales, inputs data, creates mailings, and helps out with various projects.